There has been more media interest in our industry than ever before. There have been recent articles in USA Today, BBC News in England, and the Wall Street Journal. There was an article on mobile homes in Dwell Magazine, and a major industry conference in Chicago, and a well-attended event in Dallas for Legacy Homes. Can this be the same industry that we got into 20 years ago, when people would either say “gross” or “you’ve got to be kidding” when you said you owned a trailer park? I guess that we have been one of the few, lucky recipients of the endless recession – now in its roughly seventh year – crossed with the collapse of Class-C apartments, and an investment environment that thinks a 1% CD is a big deal. I’ll never forget the time I was in the line to get into the courtroom for an eviction (back around 1997) and a guy was there trying to buy houses on the cheap from moms & pops that were tired of evicting their tenants. He came up to me and said “what do you want for your house” and I said “I own a mobile home park, not a house”. The guy – who was a slumlord – gave me a terrified look and said “I don’t deal in that stuff brother, it’s too scary”. Guess he’d be shocked today to know that our industry is owned by the likes of Warren Buffet, Sam Zell, and now even The Carlyle Group is getting into the picture. We never would have predicted this, but we sure like it. If you haven’t heard by now, the industry got a big shock in the form of an announcement in the Wall Street Journal a couple weeks ago that The Carlyle Group was buying mobile home parks. The Carlyle Group is the largest private equity group in the U.S., with over $170 billion in assets. When it gets into something, it’s normally in a big way (it spent $30 million on the first two parks it bought). We believe that the arrival of Carlyle will have the same effect that Warren Buffet had on the manufacturing and financing side – immediate credibility and attraction of similar investment groups. There’s no doubt it’s a great step towards making mobile home parks a niche of mainstream U.S. real estate. An article in USA Today discussed the fact that you can live very inexpensively in a mobile home park, and that this might be a good option if you have a lower income, or were trying to find a cheap place to retire. An article in the BBC News from the U.K. gave a lengthy history of the mobile home park industry, and why it is such a force in American housing. It also gives some interesting statistics on where the most mobile homes are, and which states are the poorest. There’s no doubt that the English had some fun pointing out that 20% of Americans are near the poverty line, since the U.S. has done such a poor job of handling world events lately (I think they are suggesting that the U.S. can’t even keep their own country in good shape, so why be relied on to have good ideas elsewhere). But whatever the motive, it was a great article for our industry. Now this article was completely unexpected. 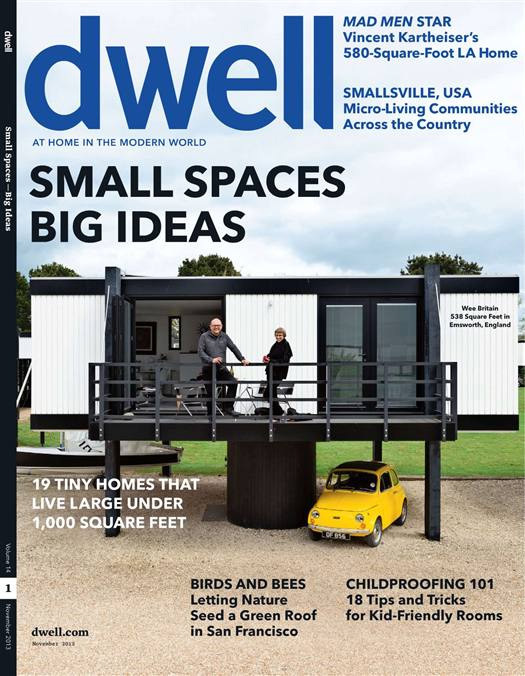 Dwell magazine, which is normally devoted to cutting-edge architectural and interior design, featured at article on tiny houses and “micro-communities”, of which mobile home parks are mentioned as a member. We’ve always thought that mobile home parks could become chic given the right location and clientele, and possibly it’s starting to happen on the west coast. The combination of fascination with high-quality small houses, “green” living, and finding alternatives to mainstream expensive zip codes apparently may bring a new identity to mobile home parks in just the right niche. 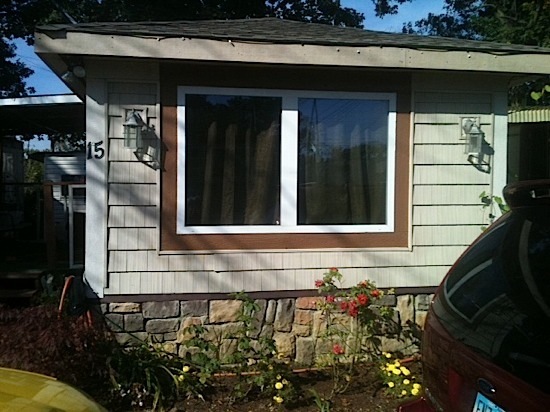 I have seen mobile home parks in California that are becoming a hybrid of mobile home and modular home community – with price tags of $500,000 – as well as the recent mobile home in Malibu listed at $2 million. While I don’t think that movie stars will be moving into our park in Muskogee anytime soon, this type of publicity helps make mobile homes seem more appealing to the masses and gives the industry some extra hype. While we can’t legally link to the article, you can find this addition of Dwell at your local newsstand. 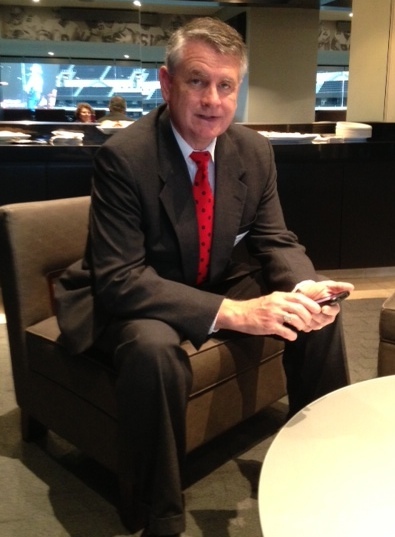 Have You Been Watching Kurt Kelley’s Videos On Mobile Home Park Insurance? If Not, You’re Really Missing Out On A Great, Free Resource! It comes as no shock that we use Kurt exclusively on all of our insurance – he’s the best in the business. But did you know that Kurt has produced some very educational videos for park owners, on the keys to successful insurance and practices at mobile home communities? We think this dog video is particularly interesting. This was the shocker of the month, as I’ve never seen an industry event where the community owners wore dark suits. 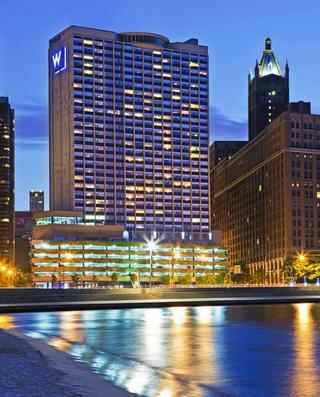 About 250 of them showed up at the W Hotel to hear Sam Zell speak, as well as others, and to have dinner on a boat circling the Chicago skyline. Even Frank gave a speech, and the topics were upbeat and represented an industry that was getting more sophisticated. Of course, The Carlyle Group announcement was probably the primary topic of conversation, with speculation on what that would do to cap rates on higher-quality properties. We saw many familiar faces at the event, including forum moderator Jefferson Lilly and his wife, who are expecting a child. Congratulations to Jefferson! If you need evidence of the creative spark that many mobile home parks tenant exhibit, then check out these homes seen on a park tour at the Columbus, Ohio Mobile Home Park Investor’s Boot Camp. 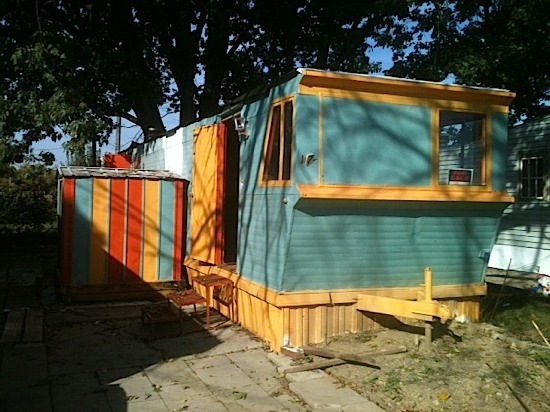 While the homes that feature alterations to make the mobile home appear more stick-built are always interesting, the multi-color home looks like the studio of Picasso. It’s a shame that the manufacturers can’t figure out how to build homes that look as good as these adaptations. We have been huge customers of Legacy for several years now, so we gave a 2 hour speech at their Gala in Dallas a couple weeks ago. 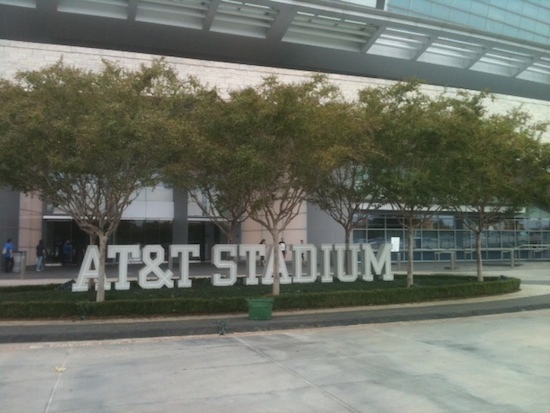 The event was a huge success, and had a large number of park owners in attendance. 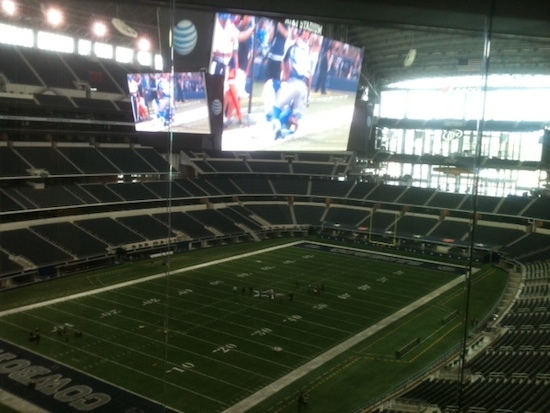 It featured a tour of Cowboy’s Stadium in Irving, which is where the presentations continued, as well as a speech by Dallas Cowboy great Randy White, and lots of food and entertainment. They’ve said they’ll do this again next year and, if you are in the Dallas area, you would definitely want to attend this next year. It’s amazing how large Legacy has grown with its unique Park Finance Program, and if you are not familiar with this program – in which Legacy finances 2/3 of the home cost – then you should call Mark Ledet at Legacy at (786) 785- 9827, or contact us for a reference. We’re one of their largest customers. 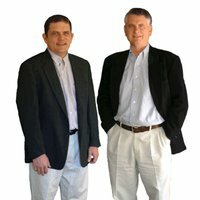 The first person we look for at any industry event is Anthony or Gerry DiMarco from Security Mortgage Group. These are the loan brokers that handle all of our conduit and bank loans over $500,000 – and are the largest loan brokers in the mobile home park industry. I like to get my interest rate projections from Security, as they really have an excellent grasp on lending in our niche, as well as bets on when it will become harder to get a loan. Right now, it looks like we may get by with very little changes in interest rates and loan terms until the end of Obama’s term. As long as “quantitative easing” continues in force, interest rates will remain around 1 ½ points lower than normal, and the continued recession – whether it’s Obama’s fault or not – is going to keep inflation low, which is great for a stable banking environment. 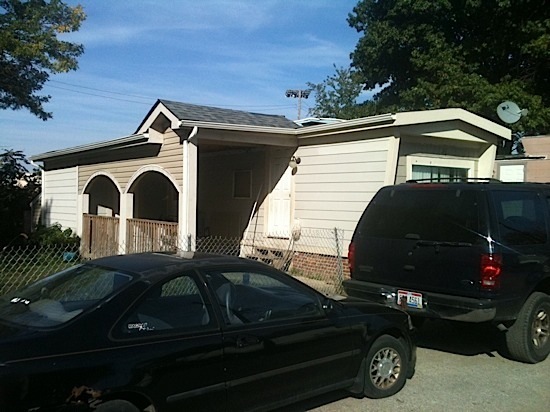 So your mobile home park loans may sail right through for another few years. If you have any loans you need help on, you can reach Anthony or Gerry at (585) 423-0230.